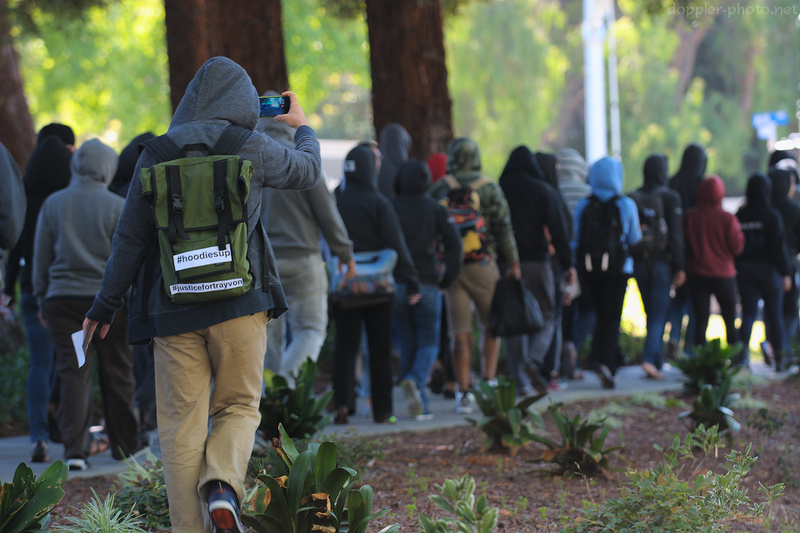 After a variety of similar "Hoodie Marches" around the country, a group of Googlers came together last week to march through campus. 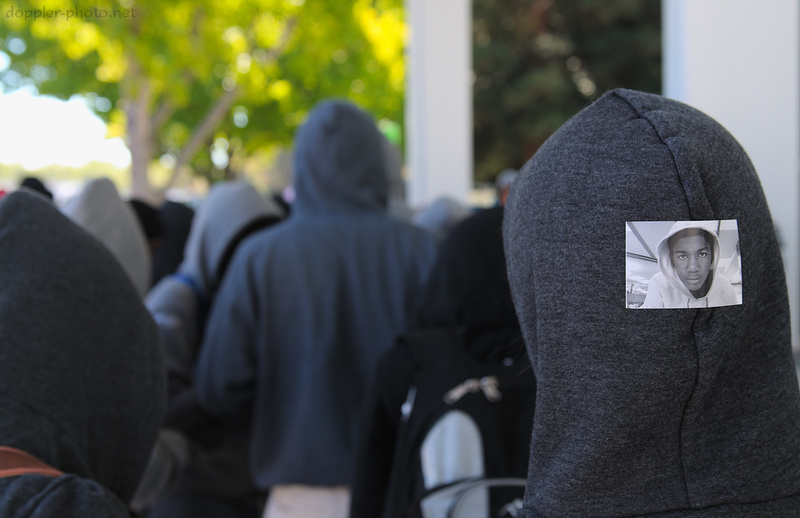 According to one of the organizers, the group wore hoodies in an effort to raise awareness of and start a discussion about the Trayvon Martin case, as well as the larger issue of injustice. David Drummond, Google's Chief Legal Officer and Senior V.P. of Corporate Development, speaks to the contingent after they had gathered for the march. 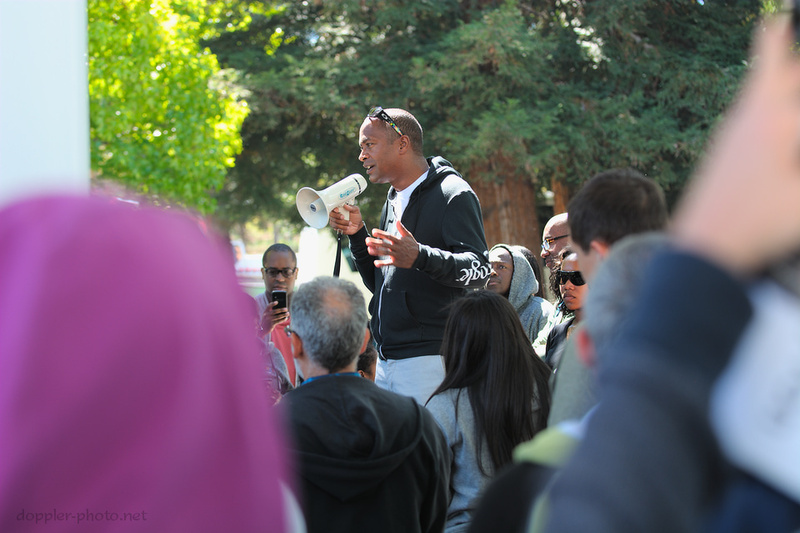 Rachel Spivey, one of the organizers, carries a megaphone as the group marches through the Google campus. 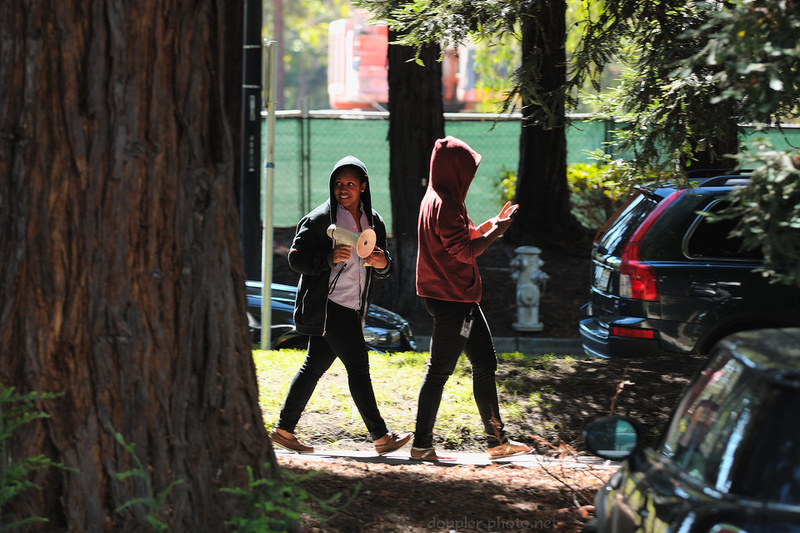 The march continues along Charleston Road, en route to the entrance of Google's weekly all-hands meeting, "TGIF." Drummond would then take the TGIF stage to speak to the Googlers both in attendance and watching from around the world.